Y'ain't gonna see line-ups like this mag featured unless ya got a time machine. Just think back some sixty-plus years to when the corner drugstore had a whole creaky four-sided rack choc-full of all these neato titles plus, of course, Ace's Web of Mystery. Now get the heck out these and buy this stuff-it's the only way we'll be able to commit to puttin' 'em out! 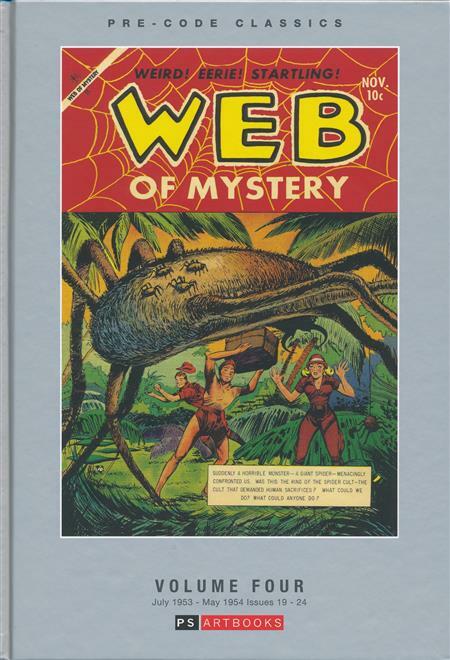 Collects Web of Mystery #19-24 (July 1953 to May 1954).